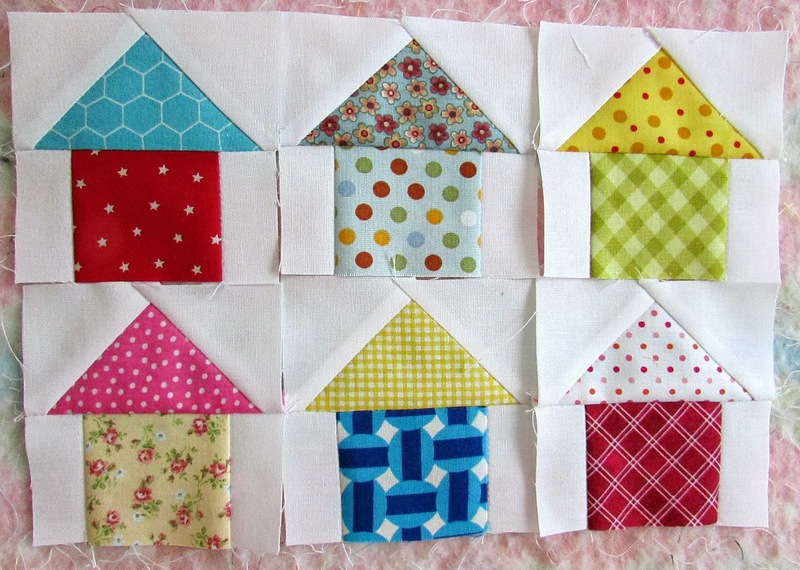 Have you been sewing along with the Quiltmaker's Bitty Blocks? March's block is this sweet little 3" house! Super fast and easy, and a great use for leftover jelly roll strips! February's Bitty Blocks were tiny baskets! 1.5" HST - don't be scared, hey, if I did it so can you! 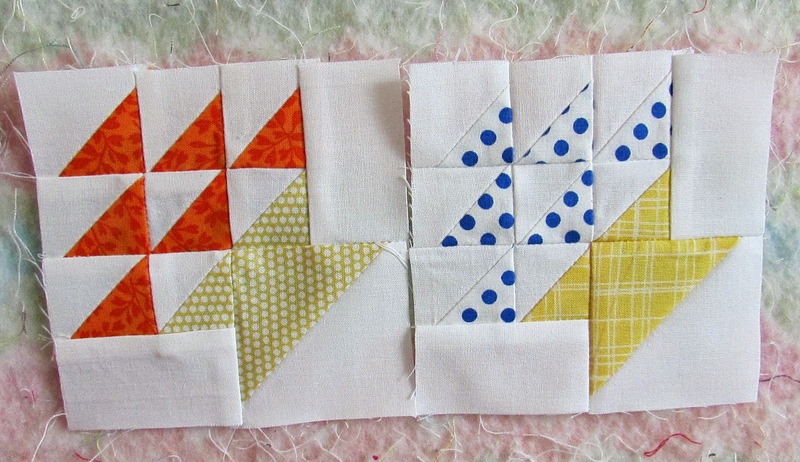 They actually went together easily, although I made my HST blocks slightly bigger and trimmed them to size. Ain't nobody got time for 7/8" nonsense. lol I have several more of these to make. They also shared some layout ideas for us, in case you're one of those quilters who likes to see the big picture! There are several sizes to choose from, or get creative and design your own!